Palate: Bold, with flavors only found in a truly old Cognac. Tobacco, leather, and orange peel, with the mushroomy delight of rank. Long, satisfying finish with warm toasted vanilla and deliciously structured tannins. 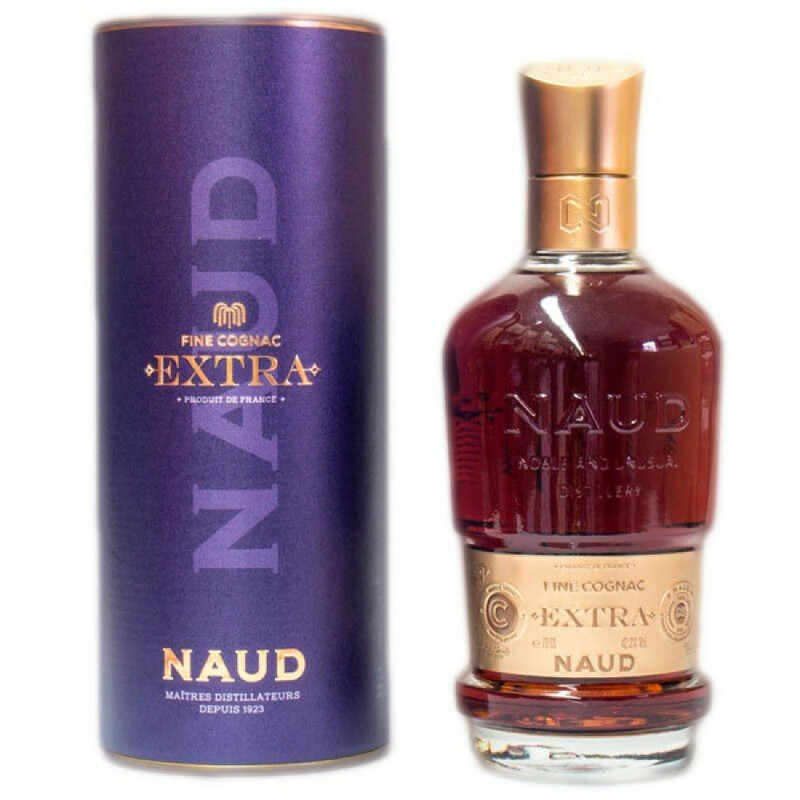 The Naud Extra Cognac is definitley one to save for those special occasions. Under the careful and considered watch of the two men responsible for the creation of Naud Cognacs, very few eau-de-vie are ever considered for this superior blend. This is a combination of the contemporary with the traditional. The Cognac is presented in a striking bottle and presentation tube in 'royal' purple tones. The color, naturally, is deep because of the extended aging in oak barrels. And you can rest assured that each eau-xe-vie that claims its hallowed place in the blend has been watched over and studied until it hits perfection. The resulting Cognac is one that will appeal to anyone who enjoys the finer things in life. And it's a wonderful example of how a smaller craft house can deliver an outstanding quality product that offers true value for money. In a nutshell, this is a seriously good Cognac. Perfect to add to the best of liquor collections, or the ideal gift for the Cognac connoiseur.